It looks like I’m pretty (virtually) social with tea folks this year! Today, I interview T Ching managing editor, Regena Rafelson. 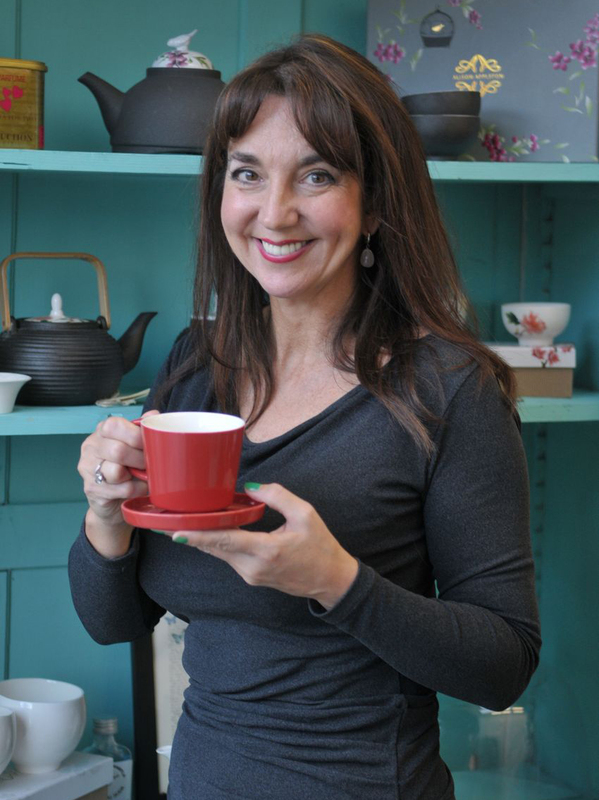 She’s a retired high school English teacher from Hood River, Oregon and she tells us more about her tea life and work in this Tea Loves post. As some of you might know, I’m a T Ching contributor and have learned much from this tea portal and its global community. Unfortunately, due to current real life commitments, I’m not able to write for them as regularly, but they’ve definitely got a loyal reader in me. Tell us more about your editor position at T Ching. This is my second stint as managing editor. When T Ching was a fledgling blog, I edited it for fourteen months in 2008 – 2009. In April of 2013, the long-time editor, Erika Cilengir, handed the reins back to me. I love the diversity of T Ching contributors and being able to read their fascinating posts before anyone else gets to! My favourite tea is whatever I am drinking! I like black tea and oolongs of every persuasion. I am currently having a serious fling with matcha. 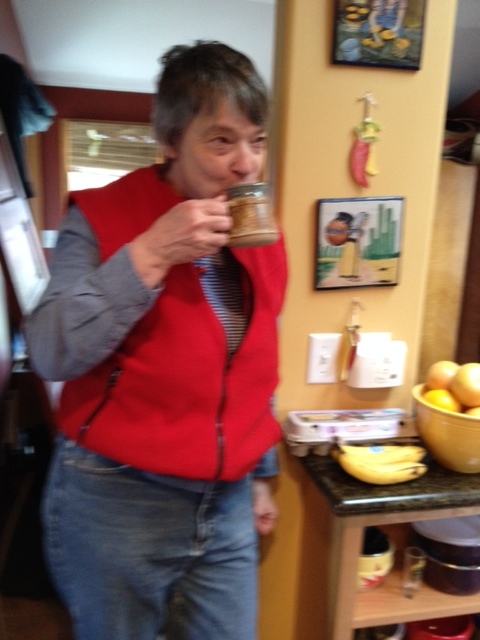 When I am hiking, I like Earl Grey in the thermos. What are your tea habits like? My first pot of tea steeps while I build a fire in our woodstove. 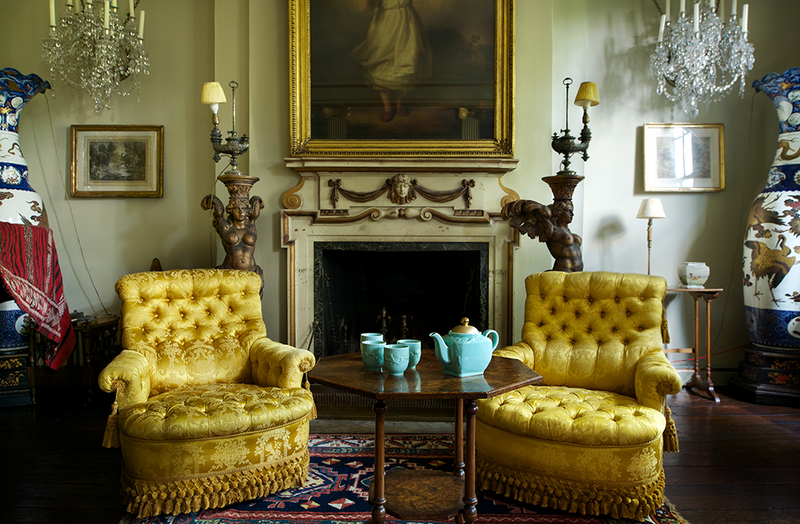 I pull my chair and my mug of tea up to the fireplace and drink that first pot while the fire slowly gains strength. I read the day’s post as it goes live on T Ching while I sip the second pot. What’s the best and worst thing about being an editor of a tea website? What do you think people misunderstand the most about tea? The most misunderstood aspect of tea regards caffeine. The mainstream western medical community is the worst offender, repeating the “tea-has-more-caffeine-than-coffee” mantra as if it was gospel. No amount of research budges them from their litany. I find that irresponsible as well as misleading. Describe the most interesting T Ching reader you’ve had. The most interesting tea reader would have to be this particular person who heckled me about a post I had written. Social media is wonderful most of the time, but an insidious aspect of this media is the opportunity for people to be rude without taking responsibility. I think of it as keyboard rage. Tea is a beverage which speaks to our better selves, that peaceful part of us. Tea is like giving yourself a hug. 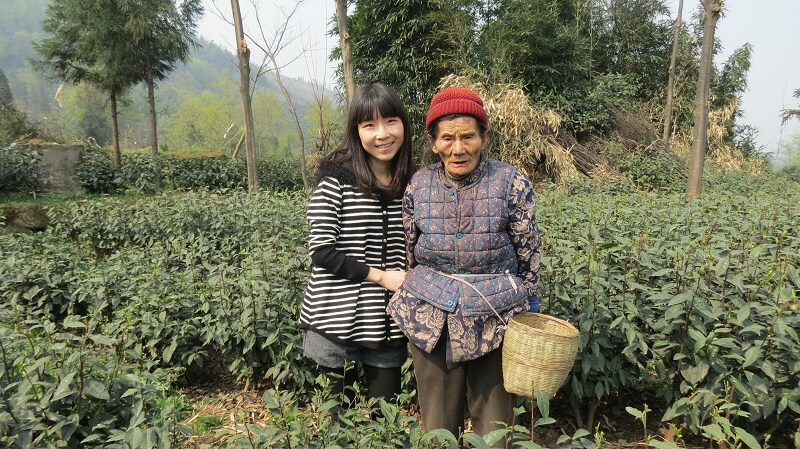 Stella (left) at Mengding Organic Tea Garden in Sichuan, China with an 85-year-old tea picker. I’ve made another tea acquaintance! Stella is from China and does social media marketing for online tea retailer TeaVivre. She recently contacted me to do a tea review (I’m still getting round that, immensely enjoying the samples so far), and was so nice about catering to my tea preferences, I thought I would feature her on Tea Loves! She tells us about why she loves her tea job so much. Why did you want to work in the tea industry? I have been working at TeaVivre for more than five years, and helped to build an online presence for this brand internationally. 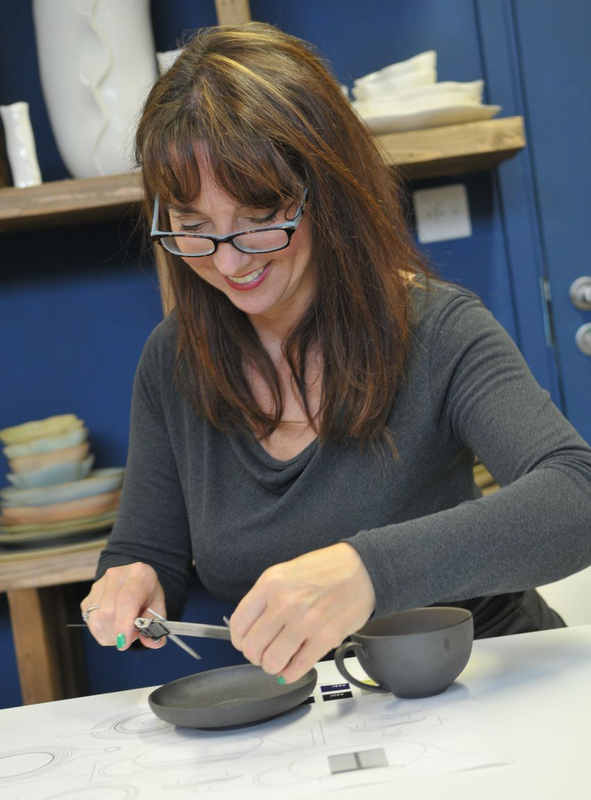 I’m a tea lover and I wanted to work in the tea industry to broaden my tea knowledge. Furthermore, China has some of the best quality teas. By bringing premium Chinese teas to tea lovers all around the world, I can share this tea experience with other people, while also learning more about teas in other countries. My favourite is Taiwan High Mountain Oolong Tea. It grows at an altitude of over 1,000 metres. As a result, this tea is naturally aromatic, mellow and brisk; and it can be steeped several times without losing its flavour. What is your tea ritual like? Every morning, I love to start work with a cup of green tea. For leisure, I enjoy sipping a cup of oolong while reading a book under the warm afternoon sun. When I have friends visiting, I will share my tea collection with them. What’s the best and worst thing about working in the tea industry? The best thing would be meeting tea lovers from all over the world. We talk about tea and exchange ideas about tea. 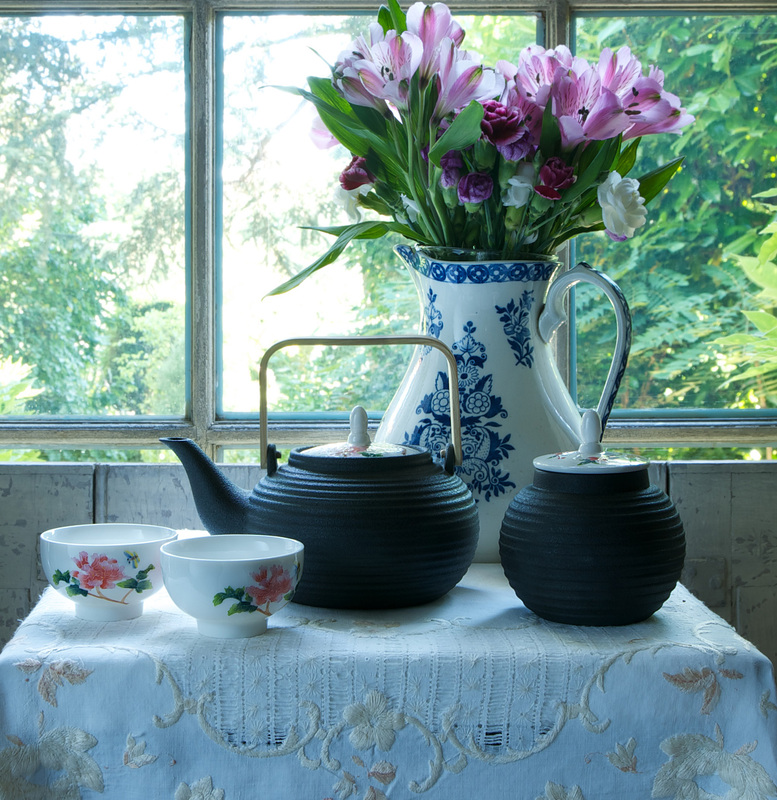 It is very satisfying to see more and more tea lovers praising TeaVivre’s products and services. The worst part about my job would be shipping delays due to holidays or other reasons we cannot control. I get as anxious as the customers waiting for their packages! I often see people regarding expensive tea as good tea, resulting in tea getting more expensive in the market e.g. pu-erh tea getting hyped up to ten thousand yuan a cake. However, in my opinion, choosing a tea should be based on your taste preferences. Quality is more important than price. What are your tips on what makes a “good” tea then? The leaf quality, water temperature, steeping time, amount of tea, and even the maker’s emotion all come into play. Generally, I think good tea should just be your favourite tea. Tea is like life. It tastes thin at first, then builds up in character, and gradually reaches its strongest point. After that peak period, it will slowly become light, and finally loses all its flavour.